There are movies, and then there are movies. Indie Games : The Movie (IGTM) falls into the latter category for me. 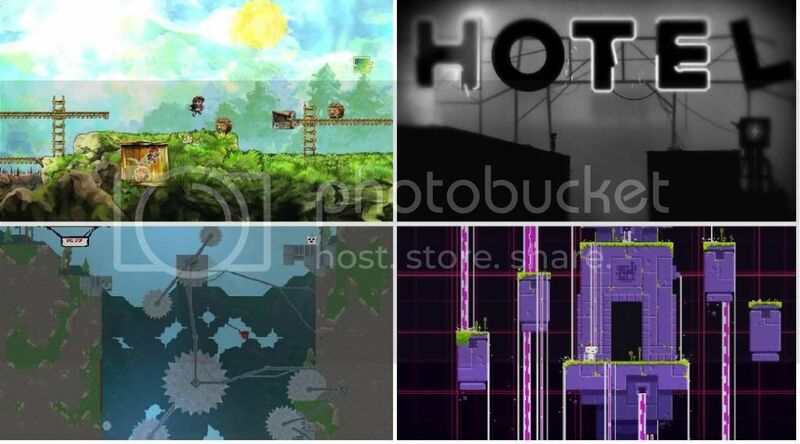 It covers the production process for 3 major indie game hits – Super Meat Boy, Fez and Braid. As a gaming documentary, I learned a lot about creating “the next big thing”. Now I understand that the situations depicted in the movie may not be every persons story. However, what resonated with me was the fact that you spend every breathing moment into creating your vision and what you want to portray to the world. And I completely understand some of the things mentioned – Getting too close to your product, looking over every tiny detail and not being able to let things go. However, I also saw how it is to realize your dream and how much people give, to do, what they were born to do. As a movie, you see a lot of emotion and passion that is tied to the game development process. You see the developers spend years of their lives, all their money, sometimes even sacrificing relationships to achieve what they want to do – Release their game and vision into the public domain. The movie has a darker tone to it, especially because 95% of the movie focuses on the struggles each game has (pre and post launch) and its only the last 2 minutes that shows their relief at their games doing well. Even then, the movie does an excellent job of showing the amount of effort and passion that goes into creating something you really REALLY want to make. Super Meat Boy (BL) allows you that finesse of control in a platformer and for a change, deliberately makes it difficult to complete levels so that there is a level of satisfaction to the game. Braid (TL) takes on the Prince of Persia time reversal concept and design a very different platformer all around that. Fez (BR), is simply the most unique game I have ever scene. Its a 2D game in 3D space. You can rotate the world around and that is how you complete levels. It reminds me of Shift on the iPhone, but grander on many different levels. Limbo (TR) which has not been mentioned in the movie is another great game which is known for its hauntingly awesome story and graphics. Games are the sum total of every medium of all time. AND they are interactive. Make a game as an extension of your self. I make video games because I can.